Every year, March is the last month for taxpayers to invest in tax-saving instruments and avail the benefit of tax deductions from their incomes. Every year, March is the last month for taxpayers to invest in tax-saving instruments and avail the benefit of tax deductions from their incomes. 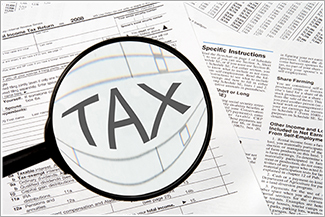 These deductions are available under Section 80C of the Income Tax Act. 1. Employees/Public Provident Fund: Amount deducted from the salary toward Employees Provident Fund (EMP) and amount invested in Public Provident Fund (PPF) is eligible for deduction under Section 80C, subject to the maximum limit of Rs 1.50 lakh. Apart from the benefit of tax deduction, EPF and PPF provide returns of more than 8% per annum. 2. Life Insurance and Unit Linked Insurance Plan: Premium paid towards life insurance policy and amount invested in Unit Linked Insurance Plan (ULIP) qualify for deduction under Section 80C, subject to the maximum limit and certain conditions. Both these are offering are from insurance companies.ULIPs have lock-in period of 3 to 5 years. 3. National Savings Certificates: These are tax saving instruments from the Government of India that taxpayers can avail, subject to the maximum limit of Rs 1.50 lakh. 4. Equity Linked Savings Schemes (ELSS): These are offerings from mutual funds and have a lock-in period of three years and investment made in these schemes are eligible for tax deduction, subject to the maximum limit. The returns are linked to performance of the investments made in equity market and other investments by the mutual funds. 5. Retirement/Pension Plans and Superannuation Fund: Amount invested in retirement or pension plans are eligible for deduction under Section 80C. The amount deducted from salary by the employer as contribution towards an approved superannuation fund also qualifies for deduction. 6. Bank Fixed Deposits: Fixed deposits of banks providing Section 80C tax benefit come with a lock-in period of five years. 7. Home Loan Instalment: The principal component of home loan instalment is eligible for deduction under Section 80C subject to maximum limit of Rs 1.50 lakh. 8. Tution Fees: The tution fees paid for children’s education qualifies for deduction under Section 80C.